In today’s on-demand culture, the days of passive television viewing are over. People prefer to choose the exact content they want to watch when they want to watch it. It’s no longer about who controls the TV remote – it’s now about controlling our individualized viewing experience and schedule. It’s no surprise, then, that more than half of all U.S. homes own a Connected TV (CTV), a set that plays traditional TV programming yet is also connected to the Internet through a stand-alone streaming device. These devices, such as Roku, Apple TV, Amazon Fire, Chromecast, etc., enable access to over-the-top (OTT) services like Netflix, Hulu and Amazon, to name but a few, as well as ad serving and digital measurement. On CTVs, viewers have video content options that are available through individual apps, similar to those found on smartphones or tablets. In 2014, there were 397 million CTV devices worldwide. That same year, more than 3 billion hours of video was streamed by Roku users. In comparison, Netflix said that its subscribers around the world viewed 10 billion hours in the first quarter of 2015 alone. The numbers show that this growing trend is here to stay. In fact, viewing on such streaming devices jumped 380 percent in the first quarter of 2015, according to a report by the Association of National Advertisers and BrightRoll, which creates digital ads for connected TVs. 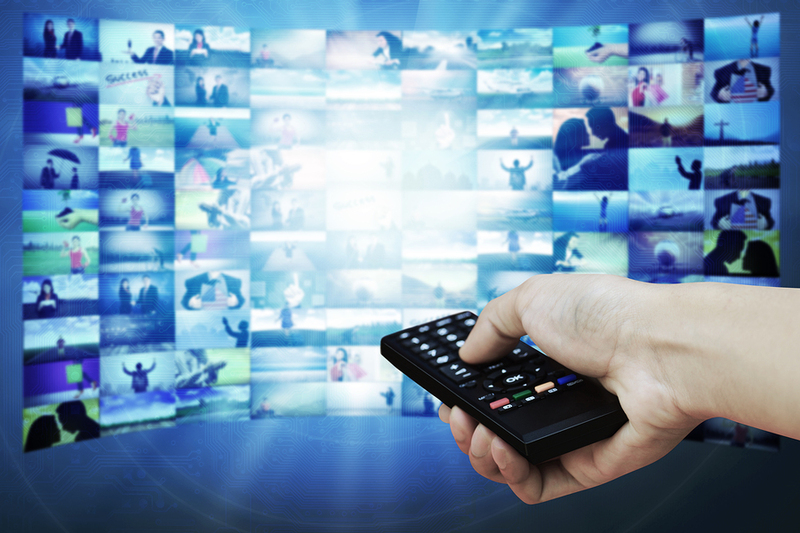 What does all this mean for the digital TV ad market? Sources say that 43 percent of all marketers acknowledge being very familiar with CTV. This number will surely grow, considering that one in three CTV owners stream video to their CTV daily – and say they are streaming more than they did a year ago. Currently, CTV viewers watch about 2 hours a day of digital content, states recent research by the Interactive Advertising Bureau (IAB). In other words, this is TV time not penetrable by regular TV advertising. These consumers are reachable at these hours solely through digital video advertising or advanced TV ads. Also insightful for the digital TV ad industry: research shows that people are more likely to watch lengthier content when they are viewing it on an actual TV screen from the comfort of their couch. Digital ads displayed on CTVs are shown in full TV-screen size, at full resolution, as a pre-, mid- or post-roll formats before user-initiated content. This explains why the completion rates for video ads viewed on CTV typically exceed 85% — and why this rate is higher for CTV than on desktop and mobile. While not all OTT video content is 20 minutes or longer, 91 percent of OTT ad views happen on content that is longer than 20 minutes, according to a recent video monetization report by FreeWheel and quoted by VideoNuze. The research also shows that across OTT channels and platforms, the average video ad load for a standard 30-minute show will increase from 3.2 minutes last year to 5.2 minutes by 2020. For more hints of growth, digital advertisers should also take note in data by The Diffusion Group, which forecasts that OTT TV ad revenue will jump from $8.4 billion in 2015 to $31.5 billion in 2018. As more viewers become more familiar with (some even say addicted to) OTT programming, the digital CTV ad market will become larger. The trend, already taking shape, is that TV shows will get their own apps. Everything that is currently broadcast on traditional TV will have an option for connectivity. This means that advertisers will need to allocate more of their advertising budgets to CTV, since it will provide more opportunities for specific ad targeting. While demand for CTV inventory really started taking off a year ago, it will continue to grow. Proof? The increasing number of platforms from which to buy CTV ad inventory programmatically. More and more companies, like Brightcom, have teams devoted solely to CTV. It is the channel through which real brand awareness is delivered. CTV viewers are focused on what they are watching. According to the IAB, 45% of viewers are less likely to split their attention between screens while streaming a video on CTV than while watching regular TV. While there are challenges, such as restrictive technology for creating ad units and a lack of a unified measurement standard for OTT inventory, solutions are coming. The growth of CTV viewership and ad revenue is taking off. Marketers know that to miss out on CTV’s synthesis of TV and online is to miss out on the future. I’ve been surfing on-line greater than three hours nowadays, but I by no means found any interesting article like yours. Hehe. Possibly. He was very relaxed. I think it7&;21#8s all the tourists. He’s a tame cat. I’ve seen him sitting on the bench next to people, and just watching the world go by. Hope he’s somewhere warm for the winter! It’s a very easy on the eүes which makes it much more enjoyable for me to ϲome here and visit more often. Didd you Һire out a designer to create your theme?